This week’s pairing incorporates Classic Black Cat Espresso by Intelligentista Coffee, which you should be able to find at your local Target. Black Cat has a strong, somewhat astringent aftertaste to mix in with this week’s theme of characters carrying on after life. The general taste should be syrupy and sweet, with slight flavors of chocolate and citrus. The coffee looks and tastes like it’s on the verge of being a medium roast. This means two things for your drinking experience in comparison to the past dark roasts that have been mentioned: It will be slightly more caffeinated, and more acidic. Because it’s been roasted less intensely than a dark roast, the beans retain more of the caffeine, but will have less of the acidic flavor taken out of it. This week’s pairing should incorporate both the astringency and sweetness of the coffee, as we move from the violent repercussions of being brought back from the dead, into the day-to-day routine of those who have been back for a while. 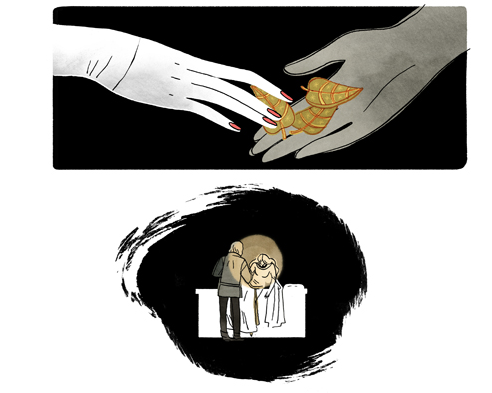 The Three Snake Leaves, is a short, interactive webcomic written and illustrated by Emily Carroll. It’s a little older — dating back to 2013 — but definitely worth the read if you haven’t gotten to it yet. The story is in classic fairytale style, following a prince and princess after they discover the cure to death itself — the placement of three leaves on the body. The story quickly turns into one of deceit and revenge that questions the good in bringing back a loved one with an insidious Catch-22. Rumble #3, written by John Arcudi and illustrated by James Harren, is part of a recent series by Image Comics. 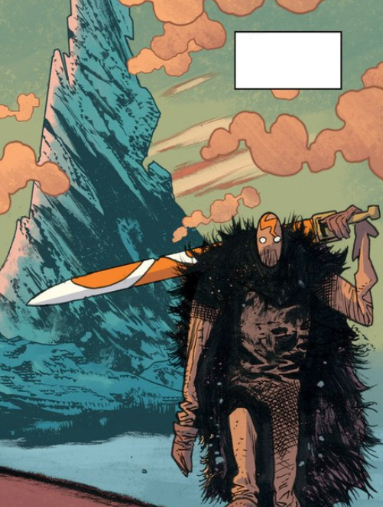 This issue of Rumble introduces the origin story of Warrior God Rathraq who died, in a sense, and after centuries of waiting for his revenge was finally given the chance to reenter the corporeal world of the living — as a scarecrow. He’s a little bitter about the loose terminology of getting a “body” to inhabit, but he’s making the best of it. He’s now in a modern-day city trying to explain his past to Bobby LaRosa, a down-on-his-luck guy who doesn’t really want to be stuck in the middle of Rathraq’s hellbent quest. For a comic about demons and gods wreaking havoc across the world in the most gruesome ways possible, the book has a good sense of comedy, and addresses Rathraq’s return from the underworld as something dark, but still a fun ride at the very least. Helvetica, written and illustrated by J.N. Wiedle, is a webcomic that updates sort of sporadically. Recently though, Wiedle has been coming out with weekly — or near-weekly — updates. The story follows Helvetica, who’s just trying to understand the afterlife that he’s recently awoken to. His new life — death — plants him in a city where he gets to start anew. He has an apartment, a job lined up for him and he’s even making friends. But the fact that no one can remember their original life creates a source of confusion and worry for Helvetica that he decides he has to investigate. Adventure Time: Marceline Gone Adrift, written by Meredith Gran and illustrated by Carey Pietsch, is part of a recent series, but by Kaboom! comics. It’s the only recommendation this week that doesn’t directly deal with death. 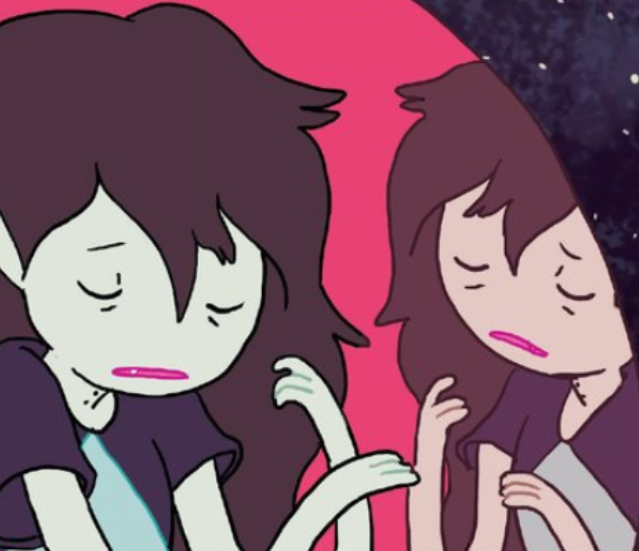 But there’s definite rest, while Marceline the Vampire Queen sleeps while floating in deep space. It all started with an accident, with Princess Bubblegum launching the demon clear out of the atmosphere with a new, experimental technology. While Marceline spends this issue in a bubble-induced stasis, Princess Bubblegum mulls over her terrible mistake, and what she’ll need to do to fix it. This week’s pairings should flow in a sort of gradation from abrasive and bitter dealings with life after death, to ones that are more sweet to end you on a lighter note. It should mix well with the Black Cat Espresso, which mixes astringency and syrupy sweetness with ease.